New Zealand face Bangladesh in the third and last Test with the series all wrapped up. The visitors will only be playing for pride, hoping to avoid an embarrassing whitewash at the hands of the Kiwis. Inspite of two days being washed out due to the persistent rainfall, the Kiwis blew away Bangladesh courtesy of a Ross Taylor double hundred. Bangladesh haven't won a single match this tour and will be hoping for an improved performance if they are to even get a draw out of this match, set to be held in Christchurch this Saturday. Kane Williamson injured his shoulder while fielding in the second Test and is uncertain to play in the final match. Will Young is the only available option for NZ and should make his debut if Williamson is deemed unfit. Tom Blundell has been called up as cover for BJ Watling owing to his hamstring struggles. The bowling attack should remain the same with another green track on offer with Tom Latham in line to lead them in the absence of Williamson. Possible XI: Latham(C), Raval, Young, Taylor, Nicholls, Watling/Blundell(WK), Grandhomme, Henry, Southee, Wagner and Boult. Lack of partnerships and wickets has been their undoing as Bangladesh find themselves staring at yet another series white-wash. Tamim Iqbal and Mahmudullah have been good with the bat although none of them have really threatened to take the game away from the Kiwis. The pacers haven't bowled the right lines on a consistent basis and has led to a frustrating series so far with the top five of the Kiwis all scoring a hundred in the two Tests. They should field a similar side to the one they fielded in the previous Test. Possible XI: Tamim, Shadman, Mominul, Mithun, Sarkar, Mahmudullah (C), Liton(WK), Taijul, Mustafizur, Abu Jayed and Ebadat. Another green track is on the cards. The last time the Hagley Oval hosted a Test, Suranga Lakmal blew away the Kiwis in the very first session. As the Test progresses, strokeplay will become easier although pacers will hold the key to the outcome of the contest. Wicket-keeper: Liton Das is the only keeper among a pool of four, who is certain to play in the third Test and should be the ideal choice for keeper. He is in good form as well and should bat twice in the Test, making his selection a great choice. Batsmen: Tom Latham and Ross Taylor are the preferred batsmen from NZ with Jeet Raval also capable of scoring big runs against Bangladesh. Tamim Iqbal has been brilliant in the two Tests and should slot in alongside the aforementioned trio. Soumya Sarkar is also a good option to choose considering his form. All-rounders: Colin de Grandhomme has chipped in with quick runs and a wicket here and there, making him a dependable option alongside the Bangladesh captain, Mahmudullah. They are key to their respective sides and should bring a considerable number of points as well. Bowlers: The trio of Tim Southee, Trent Boult and Neil Wagner are must have players in the side while one of Mustafizur Rahman or Taijul Islam should suffice in rounding off the fantasy team. Captain: Tom Latham has been in good form throughout the summer with a heap of runs behind him. In the possible absence of Kane Williamson, he should be the ideal candidate to back as captain while the likes of Tim Southee and Trent Boult are also in contention with their incisive swing bowling. 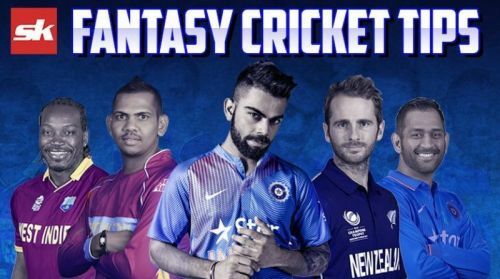 Fantasy Suggestion #2: Tom Latham(WK), Henry Nicholls, Tom Latham, Ross Taylor, Soumya Sarkar, Mahmudullah Riyad, Neil Wagner, Tim Southee, Trent Boult, Taijul Islam and Matt Henry. Captain: Trent Boult.